A couple weeks ago, there was a rumor that, among many other options to fill their hole at third base this year, the San Diego Padres had “explored a deal” for Cubs youngster David Bote. Needless to say, it made the eyes open wide. No biggy, right? Well, maybe. But now the reporter who originally offered that rumor is taking things a step further, answering a fan question about who will start at third base for the Padres this year: “I wish I could tell you. They wish they could tell you. So, it’s important to note that Acee is explicitly saying he doesn’t actually know this is happening, and there’s a ton of mileage between now and that kind of trade going down. But he put it out there with the “educated guess” label. That means he’s heard some things behind the scenes, synthesized them, and has landed on Bote to the Padres as a highly-plausible scenario. If the Padres are not going to spend big, it certainly makes sense from *their* perspective to try to land a cheap, decent upside option like Bote. But would it make sense for the Cubs to trade him? With the addition of Daniel Descalso and with the Cubs seemingly unwilling to move out Addison Russell at this time, it’s not hard to imagine Bote having to work at AAA Iowa for a while until a roster spot opens up. 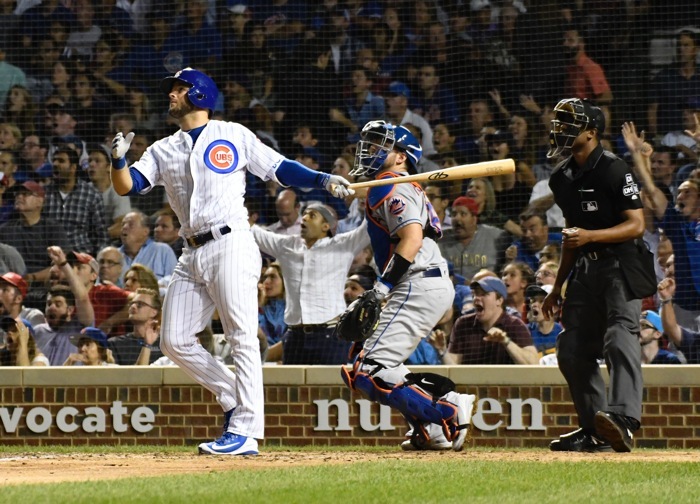 Although you’d ideally love to keep Bote around – depth is key, versatility is great, injuries do happen, and Bote’s bat could stabilize into being slightly above average for the next few years – in the short-term, yes, the Cubs could probably succeed without him. So if the Padres ask, you listen. You wonder if the Cubs would be looking to clear some salary in such a deal – attaching a smaller contract (Brandon Kintzler? Brian Duensing?) with Bote – or if they’d just be trying to pick up a reliever. Kirby Yates would be your dream pick-up – and the Cubs have been attached to him before – but he’d cost a lot more than Bote, I’d expect. With options remaining, lots of pre-arbitration control, and a depth need, it’s not like the Cubs are gonna be in any hurry to trade a guy like Bote. Given how tight things seem to be under the Cubs’ baseball operations budget right now, you almost have to presume the goal in dealing a guy like Bote would be to open up financial flexibility. And since he is making peanuts as a pre-arbitration player, you’d have to attach a contract to make the deal worthwhile on that front, *OR* you’d have to pick up a cheap reliever in return (i.e., a mostly salary-neutral move). 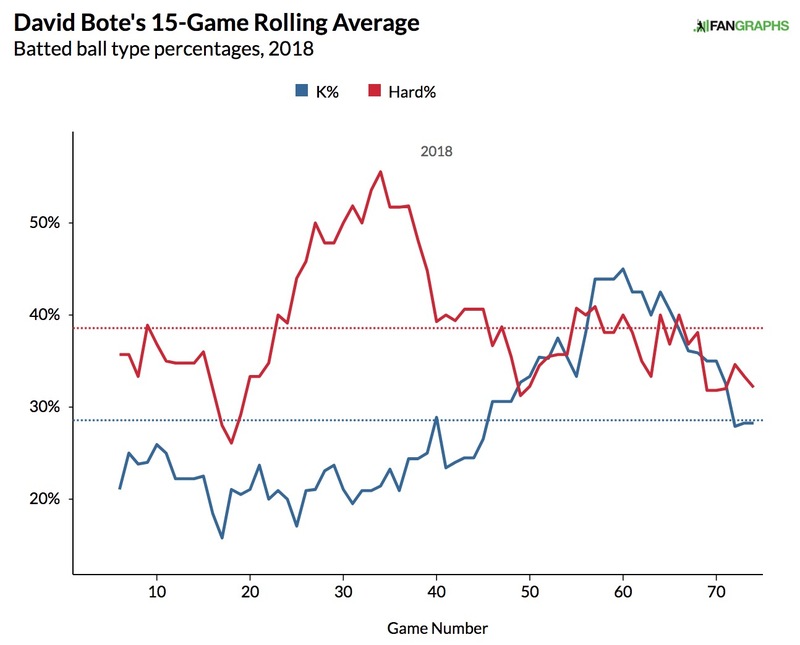 I don’t love the idea of the Cubs using Bote as financial bait, but I’m at least open to the idea that there is a series of moves out there, of which Bote is a part, that sufficiently improve the Cubs for 2019 and/or beyond that I can get on board with it. But if not, like I said originally, Bote offers excellent depth and some upside – plus minor league options – for almost no cost. There’s no reason to trade him unless you’re getting a quality return. From the Padres, ideally, that would be a very good bullpen arm like Kirby Yates or maybe Craig Stammen, or a younger arm that comes with a little more risk but a lot more team control. Or maybe the Cubs could pry away Austin Hedges as a defensively-minded catcher to pair with Willson Contreras?